On February 15-17, 2018 the final module of the educational project Converge, developed by IPERF, the International Institute for Research Performance and Innovation Management e.V. 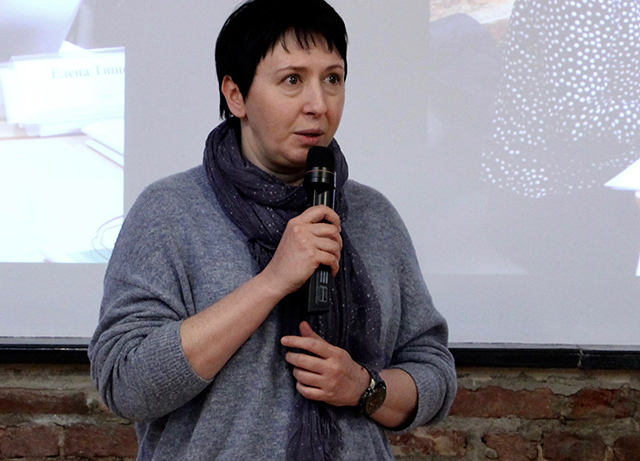 (Germany), jointly with the Graduate School of Management SPbSU (Russia) took place. The project was initiated by the Fund for Infrastructure and Educational Programs (RUSNANO Group). The final module was dedicated to business planning and agile methods of product development and ended with the teams’ final presentations in the format of investor pitch. As a result, two winners were chosen. The first prize went to ООО “Microcredit company “AvantCapital” chosen by the course instructors and experts from RUSNANO as the winning team, whose project concerned the creation of a credit and direct investment platform. The second prize was given to the project selected by the participants themselves: everyone was given fake “money” to invest in the project they liked. The most attractive venture for the participating “investors” was the project of ООО “Inmar” concerning creation of decentralized platform for monitoring of supply chains. At the end of the module students received certificates of participation in the Converge project. The educational project Converge aims at developing multidisciplinary competencies for creating new ideas based on innovative technologies and transforming these ideas into feasible products and services on the market. There are business owners and executives of the high-technology, construction, manufacturing and IT companies, financial organizations, restaurant chain and advertising agencies among 35 people who participate in the training. As part of the educational project, the participants took part in six training modules on three thematic blocks: Technology, Design and Business. During Technology modules participants got acquainted with important technological trends, such as analysis of big data, artificial intelligence and Internet of Things. After attending Design modules they learned how to develop user-oriented products using the design thinking methodology, as well as how to create successful services around existing products in order to build a strong positive image on the market. In the Business modules participants developed innovative business models, tested their feasibility and created minimum viable products (MVP). Participants acquired business planning skills and learned Scrum, the agile development methodology. To support the work of mixed teams, OWN.space, the cloud platform, was adapted. This platform allows creating virtual workspaces, where team members, together with virtual agents based on artificial intelligence technologies, can perform tasks for their projects. Congratulations to the participants and the team of the “Converge Project: Technology, Design and Business” on its successful completion! The underlying principles of this project are in tune with the policy of the Fund for Infrastructure and Educational Programs in the field of education, aimed, among other things, at involving the widest possible audience in the development of promising competences in key technologies. Converge is a multidisciplinary project with a large amount of practical work, which required considerable time and effort from all its participants, but the value of the project lies exactly in this practical orientation. Positive feedback from the participants gives us hope that practical experience of transforming ideas into business they gained during the studies will find application in their activities and open new prospects for business development. It is also important that the training took place in the format of team work on projects, which allowed participants from different companies and even industries to exchange experience. Undoubtedly, the project has high potential for replicability, especially given that its key components—modular structure and interdisciplinarity—allow for designing educational programs of various levels on its basis. I wish the project a long and successful life!